NOTE: our bloodsucking minions at Tum Yeto unearthed an unpublished interview with Toy Machine guest artist Jack Pearce - that was conducted some months ago. The powers that be ensured it survived the cracks said interview slipped into. Intermittently, our benevolent overlord will bestow keys to guest artists -- letting them create board graphics for the bloodsucking skateboard co. The Templeton's met Jack during their travels in London -- one thing led to the another and Mr. Jack Pearce found himself creating a professional Daniel Lutheran Toy Machine board graphic. Tempster and receive line-of-sight into his creative pursuits. Jack - You and I (and everyone reading this) are on this page because of the skateboard. What's your story? Kismet or calculated precision? How did your Toy Machine DanLu board graphic come to exist? 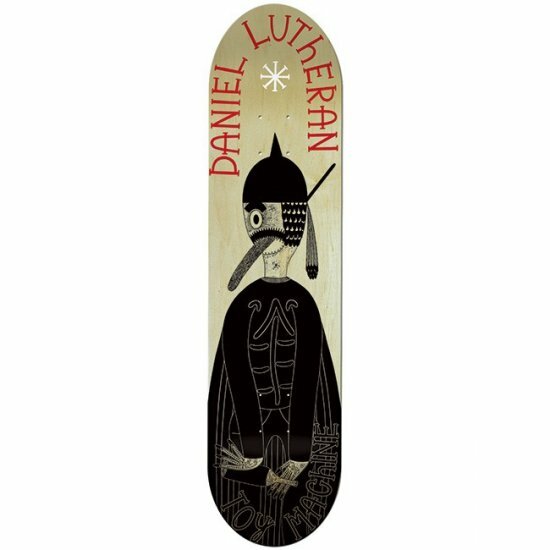 The Daniel Lutheran board graphic came about from a series of lucky encounters with the overlord himself. The first of these happened back in 2013. Ed and Deanna were visiting London and strolled into the store I used to work at. Before I had a chance to sprint up from the ground floor to introduce myself they’d already gone. I was bummed out for some time after this, about not getting to meet the man whose skating and creative work inspired me to pursue a career in making art. By some sheer act of fate he visited the store again about 6 months later. This time I managed to introduce myself and stutter into conversation with him. I showed him some of my work and he was very supportive of it. As him and Deanna came to the counter to pay he said, “Maybe one day you could do a TM graphic” I thought he must have been joking! 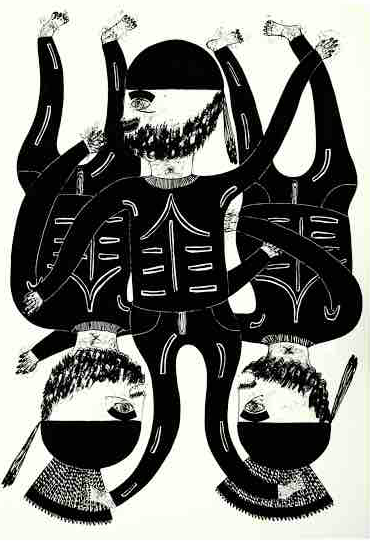 Later that year I had my first solo exhibition ‘Bromance’ at Atomica gallery - http://www.atomicagallery.com/exhibitions/jack-pearce/ in Soho, London. A buddy of mine told me he had seen Ed was in town and that I should @ him to tell him to come by the show. He actually took the time to visit the show, I couldn’t believe my luck! I was hyped that the one person whose work brainwashed my mind throughout my teenage years, and still does to this day, came to see my first solo art show. A few months after my show he asked me if I was still down to do some TM graphics, of course I said yes. It’s always been a dream of mine and now it’s turned into a reality! Stoked. Yes, yes. Kismet AND calculated precision. Excellent! Through your lens - What's the London art scene like? There’s lots of ever-changing street art to be seen if you keep your eyes peeled. The Southbank Centre always has great exhibitions on, along with probably the most iconic skate spot in the UK underneath it, which was recently saved from closure by London's ever-expanding skateboarding community. On the first Thursday of every month, over 150 galleries in East London come together to run free art shows with free beer, pretty good. What artists had an impact on you growing up? As clichéd as it sounds, the first time I watched ‘Beautiful Losers’ back in 2008 was the first time I ever really felt as though it could be possible to pursue a career as an artist. Seeing all these individuals who I idolised, together in one film explaining how they’d done it, pushed me to believe it was possible to do it too. Apart from the obvious ones like Templeton, Margaret Kilgallen, Geoff McFetridge and Thomas Campbell, I spent a lot of time obsessing over the works of Jean-Michel Basquiat, Even Hecox and David Hockney. Has there been any movies or sounds that inspired your artwork and illustrations? KMD - Mr. Hood, Cymande, Mazzy Star, The Peace - Black Power, Timber Timbre, Dave Brubeck, Nick Cave and A Tribe Called Quest. Name your Favorite Toy Machine skater and Toy Machine video part. Brian Anderson and his part in ‘Welcome to Hell’. What's the most indelible experience you've witnessed in skateboarding? On Go Skate Day I had the privilege of watching the godfather Mark Gonzales, at my local skate park ‘Meanwhile 2’. As I entered the park I noticed what I was sure to be the Gonz, stood with his back to me talking to himself. It couldn’t have been anyone else! He rolled around the park a few times, before he started launching himself from the 5ft quarter down into the bowl, that he trademarked the gap of way back. I went and sat on the other side of the quarter to watch him fly over into the bowl. He tried it for about half an hour taking some heavy slams. I felt like a kid in a candy store, watching the Gonz. After half an hour of slamming down into the bowl, he went to his bag putting on what must have been his lucky hat. A few tries later he nailed it! Endless board tapping, whistling and clapping went off. This rare sighting of the Gonz, combined with watching his trick from start to finish, is the best thing I’ve seen go down in skateboarding and outside of it. What advice do you have for creatives looking to pursue a career as full time artists? I don’t really have an awful lot of advice, apart from – Don’t shy away from self promotion and keep doing the thing you do, period. At some point people will pay attention. What's next for Jack Pearce? Where I’ll have a limited run of prints of my work available to purchase. Apart from this, I have a series of mural-based projects I’ll be starting mid July, in and around the city of London. Where's the best place for our loyal pawns to consume your artwork and updates? Anything you'd like to add, Jack? Final big thanks to Templeton for sticking to his word. People say never meet your heroes but it worked out for me. Foundation Super Co AMs are: Aidan Campbell, Joey Ragali, Cole Wilson, and Corey Glick. Stay tuned for the entire Foundation Skateboards' team video in 2016. Bronson Speed Co welcomes Corey Glick to their team - full of heavy hitters. Congrats Glick! @the_skatenerd takes over Toy Machine Instagram! 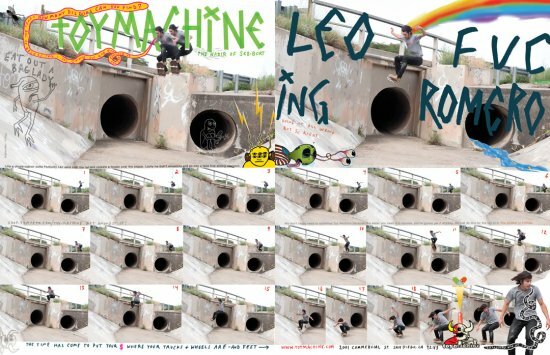 Leo Romero's new Toy Machine ad! Doing it all wrong - but so right.